Are there Aliens in outer space? Are there Aliens visiting planet Earth? So many people believe that these stories are true. Some people claim to have seen UFO’s and even have been abducted and taken upon the alien ship to undergo experiments. What can these experiments tell our supposed creators? There are many flaws in the extraterrestrial stories but one of the most interesting things is our constellations. You can stare at the stars and see many different things. Stars have even been proven to make certain shapes in our night skies. Some ancient alien researchers believe this to be a map for the aliens to maneuver through the sky. They help them find places in the galaxy and maybe even live somewhere in our galaxy among us. These stars that make up our constellations do leave us with many questions to why they are there. When we were created we never spoke of needing to leave planet earth and travel into the stars. So why do we have what appears to be maps in our night skies? Constellations are beautiful clusters of stars that make up different objects. Some can be animals, some imitate the Greek gods, and others show us directions. What do these stories tell us? They are a lot like the pyramid carvings; they seem to confuse us more than tell us anything. Scientists have studied constellations for many years to try and discover the mystery behind these night drawings. Do these drawings tell us of an ancient time long ago when we were visited by beings from another planet? Could these drawings in our sky just be a way for people on earth to maneuver through the night without getting lost? These questions may never be answered. There are many conspiracy theories that say there are Google blocks on our satellites so that we cannot see the alien planets. Could that be possible? Could it be that the government covers up our knowledge of aliens in outer space? These are serious accusations made by ancient alien researchers. They have huge satellites pointed at the galaxy of Sirius to see if there are any life forms detected. This and the Orion’s belt are the two locations that are highly suspected to have alien life forms among them. The scientists are sure that we had a communication from outer space in the seventies. It was never heard again but they choose to pursue this until years to come or they have progress. The constellations in our sky line up in such a way that they point to different galaxies. One of the biggest theories is that the constellations tell the aliens which way to go when they enter into another galaxy. This does seem like a logical explanation for constellations. 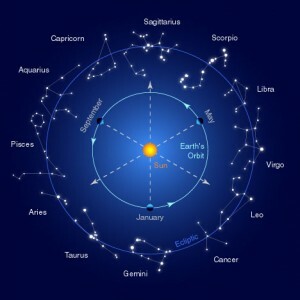 These constellations depict our history which also brings up another great question. How did our creator know our course of action and make stars shaped like them? There are many questions when it comes to outer space and how we live. Constellations will always be one of our biggest mysteries. UFO in World War 2 A lot of mysterious UFO sightings were reporting during the Second World War, and because of the frequency with which fighter pilots reported them, a name was attributed to the – foo fighters. Yes, the name .